Dr. Jack Chang graduated with honors from University of Southern California School of Dentistry and has been practicing dentistry for years. Dr. Chang is a third generation dentist and has seen dentistry change and transform throughout the years. From his grandfather being an Associate Dean of Dental School to his own father being an Advanced Dentistry private practitioner, he has followed both of their footsteps. While teaching at USC Dental school as a Division IV Primary Care Clinical Instructor, he built his private state-of-the-art practice in California and in Houston. Dr. Chang has always had a passion with dentistry, he went on to achieving a Fellow status for International Congress of Oral Implantologists. He has encouraged the growth of his dental office team with continuing education courses and a big advocate of attending dental conventions and bringing in new technology. Dr. Chang enjoys taking care of people's health. He is very pro-active in community events and works with charity organizations. 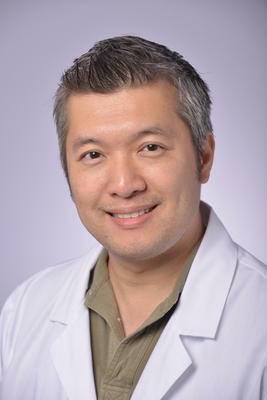 Dr. Chang is also a very talented violinist and enjoys music with his family.
" I understands that everyone has different concerns and needs. My job is to provide the highest quality of care to my patients as if they were my own family. Being able to have affordable options and make the best informative decision are what my patients are entitled to. I look forward to meeting you." 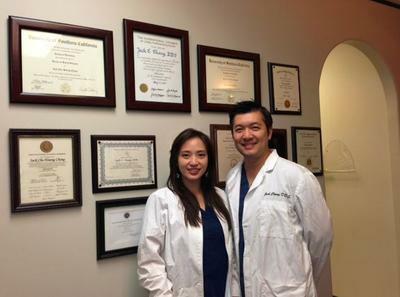 Dr. Linda Kuo graduated from University of Southern California School of Dentistry with honors. She excelled academically and spent her time as an Assistant Professor helping out other dental students. She was selected be to part of the Pediatric Dental Team that focused on treating kids and young adults. 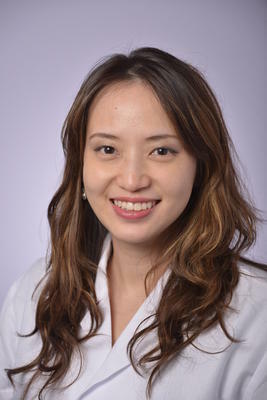 Dr. Kuo was also elected into the Ethics Committee in which she allocated her time to resolve ethical issues that occurred in clinical settings. Her dedication and focus at school was recognized by her professors and thus she one of the few that was elected to be part of the Honor Dental Society of Omicron Kappa Upsilon. Dr. Kuo has always been very passionate about being an educator and her love for children. She has also been a big advocate of serving the under-served community through her charity dental services with different healthcare organizations. She is very culturally diverse and loves to participate in different community and health care events. Her amiable and meticulous personality has been the reason many patients have grown with her throughout the years. She loves to read novels and animations comics. She also enjoys creating crafts and decor and spending time with her lovely family.